A battery is essentially a storage bank for electricity generated by solar module. A battery bank provides a constant source of power when the grid is down, or during periods when the photovoltaic system is not producing power. Baraka Solar specialist limited sales deep cycle sealed dry batteries under the firm’s brand name. They are as well of different types and capacities. 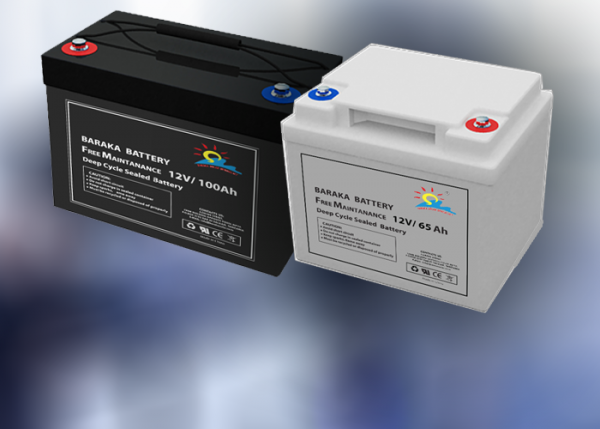 Baraka solar Deep Cycle battery is designed for frequent cyclic charge and discharge application under extreme environments. They offer excellent recovery after deep discharge under frequent cyclic discharge. Baraka Solar Batteries can also be used for motor vehicles.